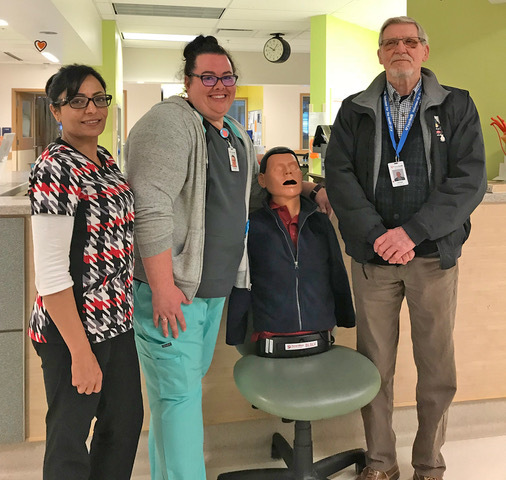 Fraser Valley Health Care Foundation and the Cardiac Care team at Abbotsford Regional Hospital would like to thank the Pacific Open Heart Association for their generous donation of a “Smart Man”. This manikin will allow health professionals in Cardiac Care to practice life-saving techniques in a controlled environment. The manikin provides a realistic manner in which staff can look at and improve efficacy in terms of chest compressions and ventilation.